Vancouver chiropractor, Dr. Trevor Kilian, is focused on improving the overall health of the spine through back exercises and patient education. He believes that everything can be related to the spine and the nervous system. If you focus on posture and good back health, it will be easier to maintain overall wellness. If you do not give your back the strength it needs to perform its job, misalignment may occur and you may be susceptible to back pain, sciatica, a herniated disc, or headaches and migraines. Chiropractic care may be able to relieve symptoms like back pain, herniated disc, or headaches and migraines that can result from poor posture and weak back muscles. But the best treatment is prevention through an ongoing wellness program that includes back exercises and posture correction. Our Vancouver chiropractorencourages all patients to engage in exercises such as swimming, walking and bicycling to improve aerobic conditioning. Strengthening exercises can help improve the muscles surrounding the spine and promote good posture. 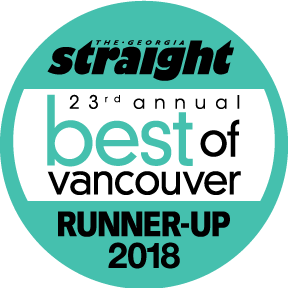 When patients come to our Downtown Vancouver chiropractor for back pain, a herniated disc, or headaches and migraines, he first performs a thorough examination to look for any underlying causes of pain and determine the current level of health and fitness. Based on his examination, he will develop an individualized treatment plan that may include chiropractic care techniques to loosen muscles, reduce joint stiffness and improve range of motion. He may then recommend a series of strengthening and back exercises to help improve overall wellness. Our chiropractor is an avid exercise enthusiast who will teach you how to properly perform many corrective back exercises that can help strengthen and correct spinal misalignments which may be leading to pain. He may recommend that patients perform arm or leg raises, which can slowly build muscle strength surrounding the spine. Exercises which arch the back may be recommended to alleviate pressure from a herniated disc that could be leading to sciatica. In certain situations, he may recommend exercising in a pool of water to reduce the effort required to perform the activity. Sometimes he will recommend the use of an exercise ball to assist in stretching certain muscle sets. Certain types of headaches and migraines can also be traced to spinal misalignment and poor posture. In these cases, Dr. Kilian can recommend exercises for posture correction. These will be built around a plan which is designed to strengthen your core muscles, fix rounded shoulders caused by too much sitting, improve head positioning and train muscles to support good posture. 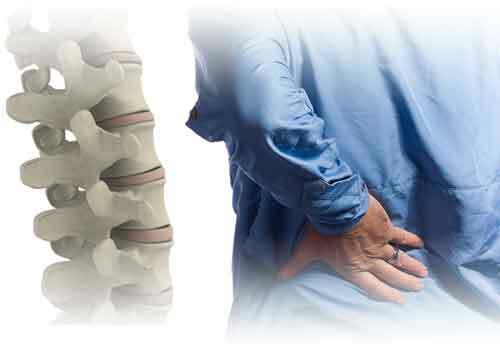 At Kilian Chiropractic the one question we ask is, "Who's caring for your spine?" With your daily exercise routine and our professional chiropractic care, we'll help you care for your spine so you can reduce the likelihood and severity of pain in your back and enjoy the life you were meant to have.